In this Italian River View tapestry we see a scene of the city and bridges on the river. The colors are sepia in tones and uses the textures of the rippling water to contrast with the brush strokes of the buildings to create an almost impressionistic effect. 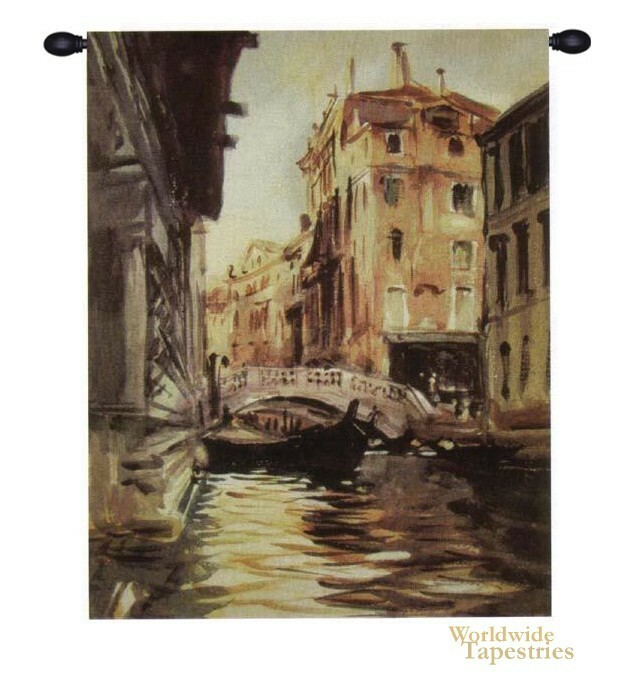 This Italian River View tapestry is backed with a lining and a tunnel for easy hanging. Note: tapestry rods and tassels, where pictured, are not included in the price.